February 24, 2012 Altria Group Inc. is seeing tobacco users switch between multiple forms of tobacco more often, vice chairman Dave Beran said while participating in the Consumer Analyst Group of New York (CAGNY) conference, reported Reuters. Today’s smokers are more open to trying different types of tobacco than smokers of previous generations, and Altria is working on new products to entice consumers who want a change from cigarettes, Beran told analysts and investors at the conference held in Boca Raton, Fla., this week. Altria, whose other products include Skoal and Copenhagen smokeless tobacco and Black & Mild cigars, has seen a shift in tobacco usage in the United States. Visit our smoking / quit smoking section for the latest news on this subject. “Smokers’ reactions to FDA regulation of tobacco products: Findings from the 2009 ITC United States Survey” Brian V Fix et al. Petra Rattue. “Less Addictive Cigarettes Preferred By Smokers.” Medical News Today. MediLexicon, Intl., 20 Feb. 2012. Web. I am not surprised the many self-hating smokers who want to quit support ways to possibily make quittting easier. But survey participants were probably not told that an ad ban is illegal here, as well as making cigarettes less addictive by reducing nicotine might lead to smoking more or buying more “full hit” cigarettes from a black market. I would hazard a guess that heroin users would like to decrease the addictiveness of heroin, yes? If you want to not be addicted to a substance that is addictive, don’t use it, duh! A nicotinic drug approved for smoking cessation significantly improved the walking ability of patients suffering from an inherited form of ataxia, reports a new clinical study led by University of South Florida researchers. The randomized controlled clinical trial investigated the effectiveness of varenicline (Chantix®) in treating spinocerebellar ataxia type 3, or SCA3. The findings were published online earlier this month in Neurology, the journal of the American Academy of Neuroscience. Lead author Dr. Theresa Zesiewicz and colleagues at the USF Ataxia Research Center collaborated with researchers from Beth Israel Deaconess Medical Center in Boston, MA, and from the David Geffen School of Medicine at UCLA in Los Angeles, CA. Spinocerebellar ataxia impairs the brain and spinal cord causing progressive difficulty with coordination of movements, including walking. The uncoordinated movements, or ataxia, is a neurological symptom with no treatment or cure and can lead to serious fall-related injuries. The double-blind multicenter study evaluated 20 adult patients with genetically confirmed SCA3. Half the patients received 1 mg. of varenicline twice a day, and the other half received placebo. At the end of the eight-week study, patients taking varenecline performed significantly better on measures of gait, stance, rapid alternating movements and a timed 25-foot walk than those who did not. The drug was fairly well tolerated, with mild nausea being the most common side effect. The study authors suggest that varenicline’s ability to improve ataxia may be associated with the drug’s ability to act at several different sites in the brain affected by nicotine. Study co-author Lynn Wecker, PhD, a distinguished research professor at USF Health, is investigating the cellular and molecular mechanisms mediating the effects of varenicline and other nicotinic agonists. Dr. Wecker and colleagues, supported by a five-year grant funded by the National Institute of Neurological Disorders and Stroke, have shown that several drugs affecting neuronal nicotinic receptors improve gait and balance in an animal model of SCA3. Further preclinical research is needed to understand how nicotinic acetylcholine agonists improve ataxia, and larger clinical studies with more patients are needed to identify other neurodegenerative diseases that may benefit from nicotinic medications, the authors conclude. Visit our neurology / neuroscience section for the latest news on this subject. The study was supported by the National Ataxia Foundation and the Bobby Allison Ataxia Research Center. Citation: “A randomized trial of varenicline (Chantix) for the treatment of spinocerebellar ataxia type 3,”T.A. Zesiewicz, MD, FAAN; P.E. Greenstein, MB, BCh; K.L. Sullivan, MSPH; L. Wecker, PhD; A. Miller, BS; I. Jahan, MD; R. Chen, MD and S.L. Perlman, MD, FAAN, Neurology, published online before print Feb. 8, 2012. DOI: 10.1212/WNL.0b013e318247cc7a. University of South Florida (USF Health). “In Patients With Spinocerebellar Ataxia Type 3, Smoking Cessation Drug Improves Walking Function.” Medical News Today. MediLexicon, Intl., 24 Feb. 2012. Web. February 22, 2012 Two current UK government campaigns pull no punches about urging all smokers trying to quit to use drugs. One puts it bluntly: “Don’t go cold turkey”. Another poster on display in the nation’s waiting rooms says: “There are some people who can go cold turkey and stop smoking. But there aren’t many of them.” (See picture at bottom of this post.) That statement is manifestly incorrect and an enquiry should be undertaken into how such nonsense was approved for publication. 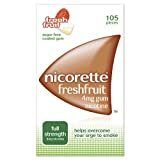 In 1986, just a few years after nicotine replacement therapies became available, the American Cancer Society stated: “Over 90% of the estimated 37 million people who have stopped smoking in this country since the Surgeon General’s first report linking smoking to cancer  have done so unaided.” How did they possibly manage to do it without drugs? February 21, 2012 University administrators around Texas are now considering campus-wide tobacco-free policies as a result of a new policy regarding grant funding. The new rules established by the Cancer Research Prevention Institute of Texas requires grant recipients to have policies prohibiting tobacco use in buildings and structures where financed research activities are occurring, as well as at the outdoor areas immediately adjacent to those buildings. The grant recipients must also provide smoking cessation services for community members who desire them. In 2007, the research institute was established and the state was authorized to issue $3 million in bonds over 10 years to finance cancer research and prevention efforts. Nearly $600 million in grants have been issued, primarily to academic institutions. For schools that pride themselves on their research function, there is a clear financial incentive to institute the changes. February 24, 2012 A smoking ban will prevent NASCAR fans from lighting up in the grandstands at Daytona International Speedway starting with the Coke Zero 400 in July. Fans will be required to use certain designated areas behind the grandstands once the ban takes effect. Joie Chitwood III, the Speedway’s president, said it’s a sign of the times and that no other venue in Florida allows smoking in the stands. In the meantime, smokers are being encouraged not to smoke in the seating areas during Speedweeks ahead of this Sunday’s Daytona 500. The ban, however, is not mandatory, said Chitwood, because smokers bought their tickets under the notion they could smoke. When aortic walls buckle, the body’s main blood pipe forms an ever-growing bulge. To thwart a deadly rupture, a team of Stanford University School of Medicine researchers has found two tiny molecules that may be able to orchestrate an aortic defense. A team led by cardiovascular scientists Philip Tsao, PhD, and Joshua Spin, MD, PhD, identified two microRNAs – small molecules that usually block proteins from being made – that work to strengthen the aorta during bulge growth. By tweaking the activity of each molecule, they could reduce abdominal aortic aneurysms in mice, which they believe is a promising step toward a new treatment for the disease. Their findings were published in Science Translational Medicine and are a continuation of work the researchers published in the Journal of Clinical Investigation. Abdominal aortic aneurysms affect thousands of people in the United States each year. The ballooning blood vessel – which looks more like a snake digesting a bowling ball than a central thoroughfare for oxygenated blood – is most likely to occur in people over age 65. For smokers, the chances are even greater. From previous studies, the team knew that miR-21 – which the cells turned on during blood vessel ballooning – works to keep cells alive and dividing. MiR-29b, which works to keep collagen and other fibers from being made, was reduced. Surprisingly, they found that when they gave the mice more miR-21, their aortas didn’t balloon as much or burst open. In contrast, knocking down the level of miR-21 in the cells had the opposite effect. Since the cells at the site of the aneurysm already had elevated levels of miR-21 compared to other cells, the team thinks the change is an attempt by the body to protect itself. Visit our cardiovascular / cardiology section for the latest news on this subject. The first author of both papers is postdoctoral scholar Lars Maegdefessel, MD, PhD. Other co-authors of the work reported in Science Translational Medicine are current and former postdoctoral scholars Junya Azuma, MD, PhD, Ryuji Toh, MD, Denis Merk, MD, Uwe Raaz, MD, and Azad Raiesdana, PhD; research assistants Alicia Deng and Anke Schoelmerich; Nicholas Leeper, MD, assistant professor of cardiovascular medicine; Michael McConnell, MD, professor of cardiovascular medicine; and Ronald Dalman, MD, professor of vascular surgery. The work reported in both publications was supported by research grants from the Stanford Cardiovascular Institute, the National Institutes of Health, the California Tobacco Related Disease Research Program of the University of California, the Deutsche Forschungsgemeinschaft, the American Heart Association and the Deutsche Herzstiftung e.V. Stanford University Medical Center. “Fighting The Battle Of The Aortic Bulge – Abdominal Aortic Aneurysms.” Medical News Today. MediLexicon, Intl., 23 Feb. 2012. Web. Cigarette smoke has long been considered the main risk factor for heart disease. But new research from Brown University in Providence, R.I., shows that nicotine itself, a component of cigarette smoke, can contribute to the disease process by changing cell structure in a way that promotes migration and invasion of the smooth muscle cells that line blood vessels. In particular, invading cells can remodel structures called podosomes, and this leads to further degradation of vessel integrity. Ultimately, this cellular migration and invasion process gives rise to the formation of vessel-clogging fatty deposits known as plaque – the hallmark of heart and blood vessel disease. The results on the nicotine-podosome link will be presented at the 56th Annual Meeting of the Biophysical Society (BPS), held Feb. 25-29 in San Diego, Calif.
“The finding that nicotine is as effective as cigarette smoke in enhancing cellular structural changes, and breakdown of scaffold proteins by vascular smooth muscle cells, suggests that replacing cigarette smoking by nicotine treatment may have limited beneficial effects on atherosclerosis,” notes lead researcher Chi-Ming Hai, professor of medical science in the department of molecular pharmacology, physiology, and biotechnology at Brown University. Hai’s research illuminates the multistep process of plaque formation, and suggests that a new powerful player, nicotine, may be involved. The plaque formation process begins as a response to cellular injury, and progresses to destructive and chronic inflammation of the vessel walls that attracts mobs of white blood cells, further inflaming the vessels. This damage-causing inflammation can be triggered by chemical insults from high blood sugar, modified low-density lipoproteins (LDL, the “bad cholesterol“), physical stress from high blood pressure, or chemical insult from tobacco smoke. Now nicotine itself appears to remodel key structures in a way that primes and enhances the invasion of smooth muscle lining the vessel wall. Fatty deposits accumulate in blood vessels beginning as young as age 10 and progress over a person’s lifetime. Heart disease results if the deposits continue to build and harden into vessel-clogging plaque. When plaque ruptures, it can block blood flow, starving the heart or brain of oxygen and leading to a heart attack or stroke. American Institute of Physics. “Nicotine’s Role In Promoting Heart And Blood Vessel Disease – Invade And Conquer.” Medical News Today. MediLexicon, Intl., 24 Feb. 2012. Web.